I made a loaf of ground flax and got a very tasty bread that goes well with vegetables, and which is excellent for sandwiches. So I made a low carb flax seed bread. 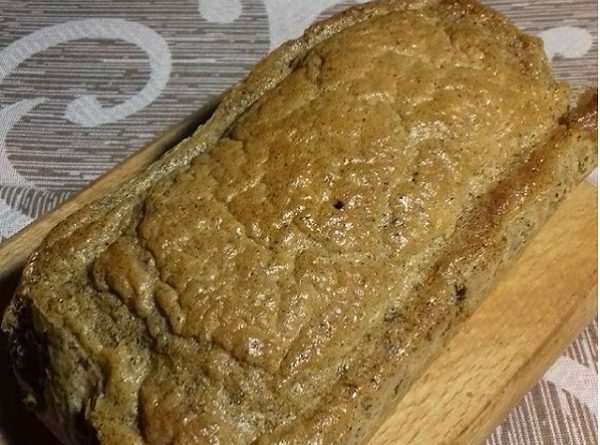 Low carb bread made from flax in our family’s favorite bread for sandwiches. I tried a combination of other types of flour from nuts and seeds, but this is really perfect. The combination of seeds and you can’t select, but this one I made bread gives a phenomenal taste. This bread with little carbohydrates is really so easy to say that everyone can prepare it, even when they are maximum pressed with time. In the second bowl, whisk the eggs with water. Add egg mixture into the dry ingredients. Pour into a bread mold. Then remove the bread from the pan and bake in the grate another 5-10 minutes. Check with a toothpick if the bread is baked, and if it is still moist, bake some more. Turn off the oven and leave the bread on the grid until the oven cools. Bread can be stored at room temperature, in the fridge, and make sure that it does not wrap sushi. I usually immediately cut the low carbohydrates bread into slices, make sandwiches, which then carry with us for days to do the work had healthier breakfast.